Here is a collection of some of the creative photos you might have liked on Instagram, Twitter, and Facebook. Check out the truth behind these incredible photos below. This is perhaps the funniest behind the scenes photo in this list! 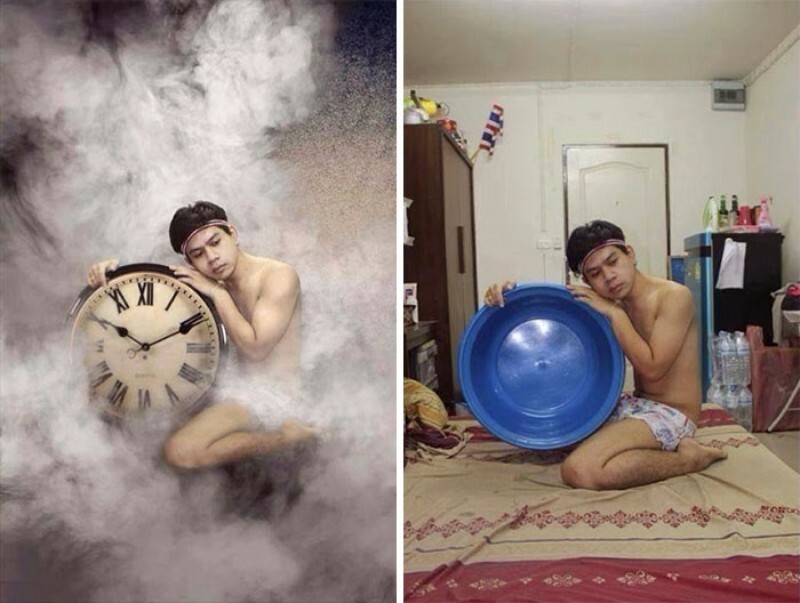 That vintage-looking clock that the guy is holding is not even a clock but a basin!